I believe that all of us have a tribe that we are called to, a group of people who share something that matters deeply. Last week, after having returned from a three day coaches retreat, I joined my brother for dinner at Opa’s–a small Greek Restaurant that has live jazz every Wednesday night. There were three folks holding down the sound with a keyboard, guitar/synthesizer and base. As people started coming up to them with handshakes, hugs, and smiles, the conversation and energy started to build. Young people, babies and elders moving slowly across the skinny tile floor between coffee shop tables and the food counter found their places and began moving with the sounds of the band. Kindred spirits and fellow musicians sat on the corner stools – up close and personal, waiting to join in. Within an hour, the energy grew even more, and other musicians came in for a few songs, each one bringing his or her own sound. A female vocalist with a French accent (who, from all physical appearances, seemed very out of place in this corner of the world) began combining the sounds and rhythms of the night through song, bringing everyone into this now moment of community. I started the evening as an outsider, but it didn’t take long to feel like I was a part of this tribe of music lovers. I didn’t have to perform or meet any standards, or dress a certain way. By showing up and connecting with the passion that was in this space, I was a welcome sister in this tribe. The love of music, connection and creation was in this space and everyone was a part of this moment in time. What a gift to be a part of this family, this tribe that came together at Opa’s. While there were a few songs sung over dinner during our last night at the coaches retreat, the music of our time together was a shared focus. We were gathered for three days in the mountain town of Estes Park, Colorado, to explore what it means to be a coach for Big Picture Learning. We had a chance to examine our own questions and dilemmas and to practice strategies for supporting our colleagues in designing schools where learning is personal and communal; based on students’ interests; and grounded in real world learning experiences. Coaches came from across the country—many new to this role and to each other. It didn’t take long for everyone present to know that they had found their tribe. Grounded in a shared commitment to students and to helping others, everyone present brought their questions, shared their doubts, showed their vulnerability and went after new understandings. On our last night, we shared dinner together where those new to the tribe were to be “initiated”. They were asked to share something about who they were– be it a song, a poem, a story, a joke, dance moves, etc. Something personal—so that they would both contribute to and be known by the community. One by one, each new coach swallowed his or her nerves and began sharing about their lives and the people and experiences that mattered to them. Time stood still, and we joined the rhythm of presence and vulnerability, of open heartedness and personal expression. The next day we were different. We had become the collective song of presence and creation. We could all breath easier, share more openly and feel a part of this transformational organization. All of us deserve to be a part of a tribe—a group of people who share our passions and can support our personal and collective growth. Consider, Makers Spaces—which are growing across the country in public libraries, community spaces and even schools. An underlying element of these spaces is the feeling of being a part of a welcoming resourceful and supportive community that encourages exploration and creation. Entrepreneurial businesses provide collaborative environments, rooftop gardens and picnic areas, indoor gaming areas, company teams, service groups and huddle spaces to foster community, belonging and creation. Where are the spaces, the experiences, and the folks who hold down the beat, so that all of our young people can be a part of a tribe; to find their individual voice and connection within a larger community? How do we help students take a step out, find their passions, and become vulnerable in sharing with their peers what matters to them? Probably each of us remembers part of our own high school experience, in which cliques of students were brought together through some common denominator—be it sports, band, school paper, family wealth, smoking, etc. The purpose of these cliques was to create a sense of belonging, but at the exclusion of others. Lines were drawn through clothing, and “code” words were used to separate and reinforce who was in and who was out. It was all we knew. I didn’t belong to any such group. I was a “bridger”–I enjoyed being with each group for a different reason. I didn’t really fit anywhere, and I didn’t feel ok about excluding anyone. These groups served a purpose and helped students belong, but they were far from inclusive, welcoming or generative. And unlike tribes, they smothered uniqueness and held personal expression and the exploration of passions at bay. 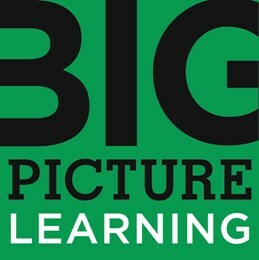 At Big Picture Learning Schools, the focus is one student at a time—creating opportunities for students to follow their own interests and passions through individual learning plans, internships and real world projects. Underneath this personalization is Advisory: a physical space and a group of 15-18 students and staff who learn together over a 2-4 year period, who challenge each other and make music. Advisory is a structure that allows every student to be a part of a tribe, to be able to get in the groove of connection and creation and be vulnerable to be seen more fully. Students have the opportunity to both explore their passions through internships and other community learning experiences. They speak up at whole school Pick Me Ups—announcing opportunities for others to join in–to help with a project or create as a community. As students dive deep into their interests, they share their learning with other students in exhibitions. It doesn’t take long for new tribes to form. But, unlike the cliques of our high school experience, these tribes are fluid. Through the natural sharing of passions and projects, the collective passion grows and students thrive. As our group paid our bill and talked with one of the musicians, the owner of Opa’s came over to thank us for being a part of the evening–a part of this community. It was clear that we were genuinely welcomed to come again and be a part of creating another now moment. It really felt good to be seen, to be invited in and to know that in some small way we had made a contribution. We were now a part of this tribe–that sounds and rhythms had brought together. What is it that we need to do differently in each of our schools to foster the creation of tribes? What are the sounds and the rhythms that will help our students to: step into connection; experience being seen; and discover and share their songs? What conditions and structures need to be present for students across different settings to be able to generate tribes within the institution of public education? All of us are called to be a part of a tribe. Helping our students find their tribes will help them to breath more easily and discover the passions that will drive their learning and support their lives.